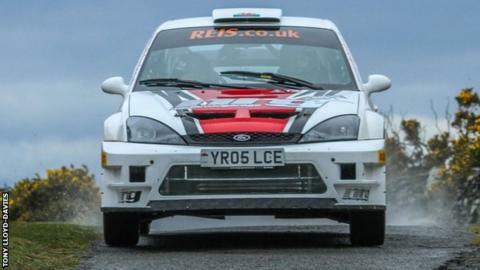 Jason Pritchard and Phil Clarke have won the Manx National Rally for the second year in a row. The Ford Focus WRC pair took the overall victory by 58.5 seconds from debutants Damian Cole and Jack Morton. Former winner Paul Bird and co-driver Aled Davies had led before a shredded tyre ended their hopes on the Eary Cushlin triangle stage. Arron Newby and Rob Fagg held off Steve Colley and Andrew Cowley to complete the podium places. More than 120 crews took part in the two-day asphalt rally, which was held over 14 stages on the Isle of Man.